The dancers will perform at the SSE Hydro in Glasgow between February 1 and 3, 2019. 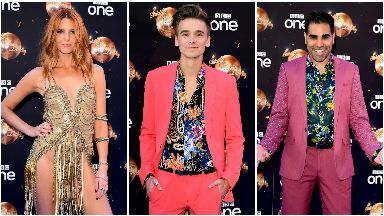 Stacey Dooley, Joe Sugg and Dr Ranj Singh have been confirmed as the first stars for the Strictly Come Dancing UK Arena Tour. Documentary maker Stacey Dooley will be partnered with Aljaz Skorjanec, instead of current partner Kevin Clifton, when the tour hits the road. She and Kevin are among the favourites to win the series, along with YouTube star Joe Sugg. Joe will dance with current partner Dianne Buswell for the live shows, while Dr Ranj - who was the sixth celebrity to leave the competition - will reunite with his former professional partner, Janette Manrara. Stacey said: "I'm loving this experience so much. I know people always say that, but it's so true. To be able to go on tour and perform for the fans all over the UK is such an honour. I'm so excited! "I will miss Kev, but I am looking forward to putting Aljaz through his paces!" Aljaz was paired with newsreader Kate Silverton, but they were booted out of the competition during the show's Blackpool Week. Celebrities: Stacey, Joe and Dr Ranj will be in the tour. Joe said he is "thrilled" to join the Strictly tour, and that he "can't wait to get quickstepping at arenas all over the UK". This Morning's resident doctor Dr Ranj said: "From the sequins to the sashays, I have loved my Strictly journey, so to join the Live Tour is beyond exciting. "I can't wait to be reunited with Janette, hit the road and meet all the Strictly fans!" 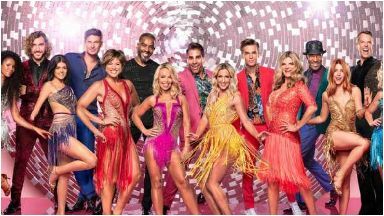 2016 Strictly Champion Ore Oduba will host the tour and judges Shirley Ballas, Dame Darcey Bussell, Craig Revel Horwood and Bruno Tonioli will appear. The tour starts on January 18 at the Arena Birmingham and will visit arenas across the UK including the First Direct Arena in Leeds, the Manchester Arena, Liverpool's Echo Arena, Glasgow's SSE Hydro and the SSE Arena Wembley. The tour concludes with four shows at the O2 Arena London on February 9 and 10. Further names for the tour will be announced in due course.